Shop head and face ppe supplies here. Find hearing and ear protection products like ear plugs and ear muffs. Ear plugs offer better noise reduction than ear muffs. Ear plugs sit directly in the ear canal, and ear muffs sit over the ears. Ear plugs are also easier to wear when one has to wear helmets and/or safety glasses. However, in cooler climates, ear muffs can be worn for longer periods of time than plugs. Buy hard hats to protect you where there is a potential for a head injury. 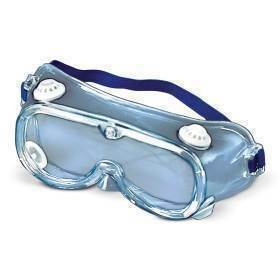 Browse through our wide variety of safety glasses and safety goggles. Safety glasses typically have a higher impact resistance than regular eyeglasses. Safety glasses and goggles can protect from a variety of hazards such as projectiles, chemicals, and blood borne pathogens. Safety glasses usually have small gaps around the glasses that do no have contact with skin. 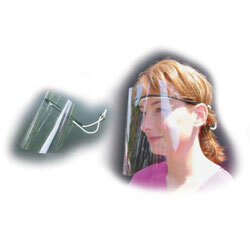 Safety goggles provide complete coverage around the eyes and include a strap that securely hold the goggles in place. 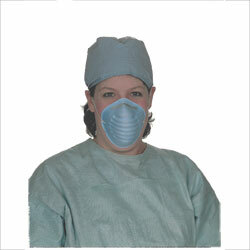 Shop other supplies like face shields, bouffant caps, and surgical caps. 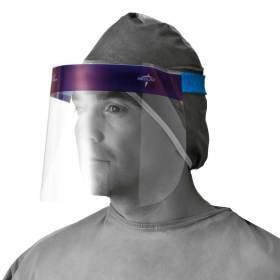 Face shields are designed for situations where the risk of exposure to blood or other bodily fluids is possible. They can be worn with glasses or goggles. Bouffant caps are similar to hair nets only much more noticeable. 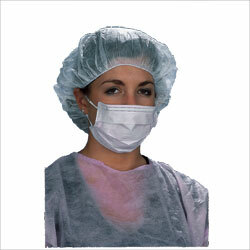 They keep hair in place and prevent stray hairs from contaminating work areas. The surgical caps or skullcaps are the same concept only they are a different design. While some prefer one over the other, the most important concept is that they both prevent hair from being exposed. Whatever you are shopping for, find your head and face protection products here at Med-Vet International! Cap, surgery, bouffant style, 21"
Surgery Cap, Bouffant Style, 21"
Cap, surgery, bouffant style, 24"
Surgery Cap, Bouffant Style, 24"